In keeping with its commitment to fulfil the demand for easy access to its much-loved world-class collections,Sri Lanka’s leading menswear specialist, Hameedia, relaunched its Rajagiriya showroom on a grand scale on 30th June 2018 at 578, Old Kotte Road, Rajagiriya (Cotta Road) which is located opposite to Excise Department. New Rajagiriya showroom is situated in a convenient and an accessible location where customers can visit the showroom instantly. The Election Commission and Sacred Heart Church are located the vicinity of the showroom and these prominent landmarks can ease customers to find the new location. Mr. Fouzul Hameed, Managing Director of Hameedia, declared open the new showroom and welcomed all distinguished invites and loyal customers present on the auspicious occasion. The Commissioner of Elections, Mr. Mahinda Deshapriya, was amongst the distinguished invitees. 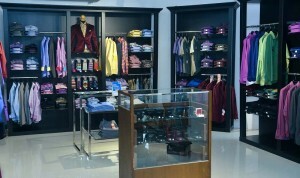 Since its inception in 1949, Hameedia has cemented its place as the preferred menswear specialist in Sri Lanka with its world-class quality, custom tailoring and ready-made clothing. The company continues to make its presence felt locally and internationally with Hameedia outlets across Sri Lanka and stores in the Seychelles, Maldives and Australia respectively. Along with its own branded clothing and accessories, which includes FH, Envoy, Le Bond and Signature, Hameedia also showcases international brands such as Raymond, Lee and Adidas. For any inquiries, please contact Hameedia team on 011 288 4076 or 077 383 1339.